You simply need to attend of this leading exhibition of firearms, law enforcement, ammunition, outdoor apparel, cutlery, optics and related goods and services. More than 350 exhibiting companies. More than 400 new products displayed! 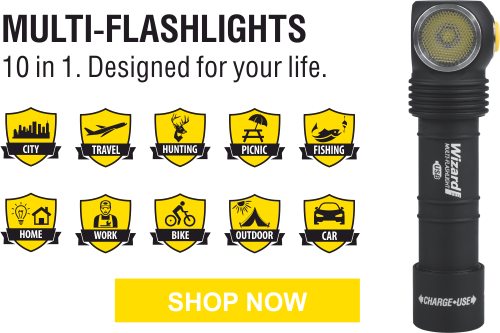 At the show you will be able to examine closely and test our newest flashlights, observe the truly excellent performance of our products and get your own unforgettable experience of using them! We will be glad to hear your opinions and proposals for improving our flashlights and to discuss with you our plans and perspectives for new desirable product series. And of course we will provide you with all necessary information on prices and profitable terms for reselling.